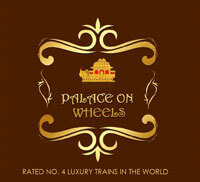 Write a review about your Palace on Wheels journey in Rajasthan, India. The review should be based on your personal opinion. * I certify that this review is my genuine opinion of this train, and that I have no personal or business affiliation with Palace on Wheels. To download a brochure for any of our journeys.